Who doesn't like chips and dip? While our signature Cajun dip collection isn't your usual chips & dip fare, the uniqueness of our alligator or crawfish dip is sure to provide an interesting topic of conversation for those around your table and have everyone wanting more. 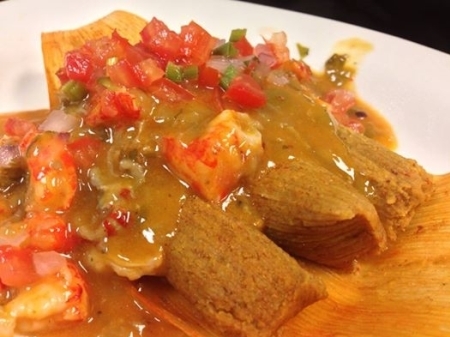 Other quality Cajun appetizers sure to please include crawfish tamales, Jalapenos stuffed with shrimp and crab Cajun dressing and our popular shrimp and crab cakes. While dips and appetizers are only the beginning of any great Cajun meal, they're an important part and here at Cajun Ed's you get nothing but the finest quality products, made with the finest ingredients in the old world Cajun tradition by real life Cajun cooks and chefs! We know that's what you've come to expect and would be satisfied with nothing less. By the way, don't forget the Pork Boudin Balls for a true taste of down-home Louisiana!